To create the menu go to Appearance -> Menu. Create a menu and add the links using the panels listed on the left. You can create different menus for primary menu, footer menu and mobile menu. When the menu is ready go to Manage Locations. 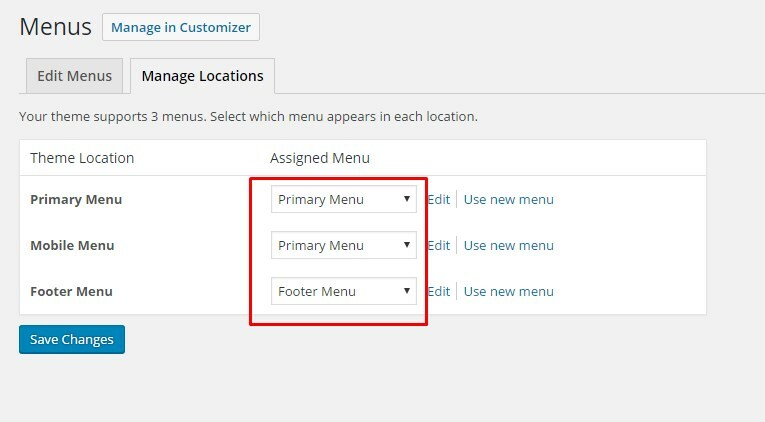 Select Primary Menu , Mobile Menu and Footer Menu and Click “SAVE”. Mega Menu: How to enable Mega Menu. How to customize Mega Menu.